HIQA has launched National Standards for the Protection and Welfare of Children for Health Service Executive Children and Family Services July 2012. 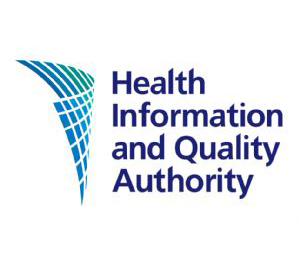 The Health Information and Quality Authority (HIQA) have recently developed National Standards for Safer Better Healthcare. A HIQA investigation has severely criticised Tallaght Hospital, saying patients' lives were put at risk because they were being treated on trolleys in corridors. The Role of HIQA in regulating Social Care Services was the title of the presentation given by Mr. Finbarr Colfer, Inspector Manager, Social Services Inspectorate, HIQA.